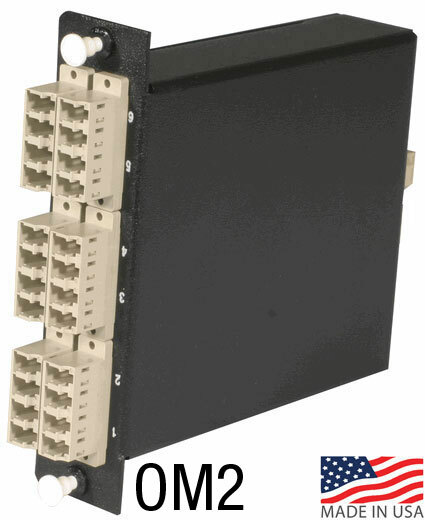 These Multimode 50/125 micron OM2 optical cassettes are fiber adapter panels with pre-terminated and pre-tested fiber harnesses already loaded in the cassette. The cassettes can be snapped into our standard WAC and RAC fiber enclosures. They are built for 12- and 24 fiber applications, and are available in a various modes and connector styles. Choose from ST, SC, LC and MTRJ connectors.